Kathrin Bussmann is the product of German parents who immigrated to Quebec, the French-speaking part of Canada. She is the Founder of Verbaccino, a Toronto-based international marketing consultancy that helps businesses leverage today’s global, social, multilingual marketplace. 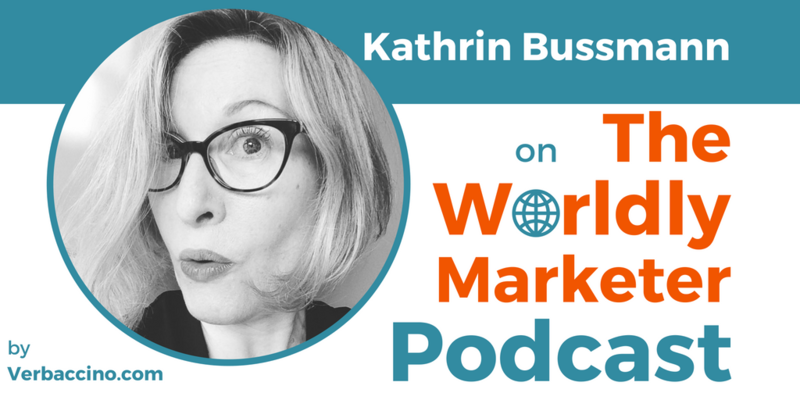 Kathrin is also the creator and regular host of The Worldly Marketer Podcast, the weekly audio show that explores how even small brands can go global in the Digital Age. Kathrin is a founding member of the Canadian Association of Marketing Professionals (CAMP).